We take brake repair very seriously. The single most important thing your car or truck actually does is stop when you need it to. So it’s no joke if you suspect you are having a problem with your brakes. Look no further than Windsor Auto repair if you need your brakes fixed or even replaced. We offer complete end-to-end brake replacement services, or in some cases, it’s a matter of repairing the existing brake pads or drums so you can avoid replacing them altogether. In most cases, you can’t. You may be able to detect something is wrong with your brakes or your braking ability, but unless you have our diagnostic equipment, you won’t be able to tell if your brakes or brake pads should be replaced. In many cases, it’s not the physical brakes that are a problem, but the electronics, the lights, or even the hydraulics of the braking system that are a problem. In other cases, the brakes and the system may be OK, but out of alignment. This can create a situation where normally functional drums and rotors actually grind into the brake pads, causing uneven wear, and eventually ruining the pads prematurely. 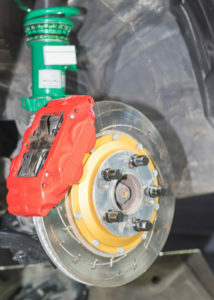 In all of these cases, simple brake repair may miss the underlying problem. This is why you don’t necessarily want to take your car to assembly line brake shops more interested in selling you new pads and drums. You may find cheaper brake repair shops, or even hire someone because they have a brake repair coupon this month, but we would recommend you pick a reliable, regular mechanic for your car. One who is fair all the time, so you don’t always have to chase down the latest special. With all of these issues to consider, you want a repair shop that is trustworthy and knowledgeable on all things related to braking your vehicle. Newer cars have complex computer systems involved as well, so make sure whoever you choose to fix your brakes understands these systems top to bottom. 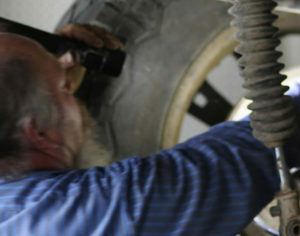 We want our Windsor and northern Colorado customers to think of Windsor Auto Repair as their brake repair shop nearby! Anything besides a brake system check/repair?